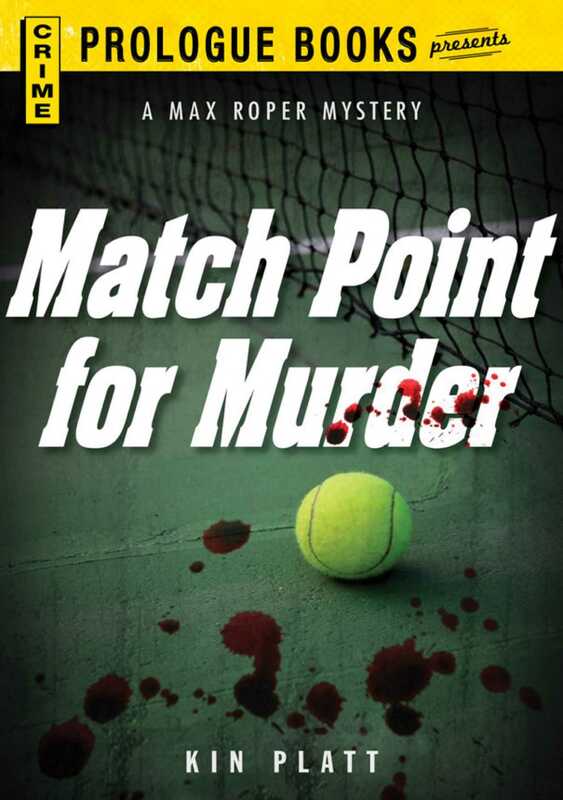 The games are tennis and murder … and private eye Max Roper has a bevy of beautiful tennis competitors to turn his head when he goes after the murderer of lovely Aussie tennis star Wendy Cliff. It was set up to look as if it was one of her opponents in the Los Angeles ladies pro tournament who did it—Wendy was garroted by a piece of tennis stringing. These include all the lovely women athletes who are taking part in the international competition. In addition to the local aspirants, the usual collection of current and ex- champions, there is the Italian start who boasts the most devastating-looking legs Roper has ever seen, the cuddly young Russian doubles pair, the beautiful French star, and their various friends and countrymen who hate to see them lose. Just to complicate Max’s problem, there is a fighting liberal senator from California threatened by a fanatic guerilla group of international assassins with whom Roper is waging a long-time personal vendetta. In the course of his investigation (as usual, filled with risk and violence), other murders follow. And Roper, pursuing the blood trail, quickly has his own life to worry about. Max has to go to the limit with his special brand of endurance and fighting character before he can come up with the winner and bring the murderer along.